Home / Bathing / Have you ever made your own Bath Salts? I have been making and using Bath Salts for almost 20 years and trust me when I say that they can make your bath a true spa experience. I totally understand when you look at a jar of Bath Salts on a store shelf you tell yourself I know I can make that for allot cheaper price. But then the thought of making it and with what and how much and how do I scent it and with what…. And the list of questions goes on and on. This is besides you asking yourself when would you have the time to take a bath much less make bath salts. So I can tell you that you got this and yes it can be fun to make your own bath salts. Now you are one step closer to actually stopping your busy schedule to take that bath. You need to test drive these salts that you will have made and maybe even relax and take some time out for yourself. Oh the benefits! A very simple recipe would be one cup of Epsom salts and 1/2 cup of sea salt or Dead Sea Salt plus 5 drops of an essential oil like Lavender. Mix well and store in a glass container like a quart canning jar until ready for use. If you do not have essential oils you can mix in dried Lavender Buds and dried Rosemary Leaves and let it sit for several days so the salts absorb the scent. Note please do not use fresh herbs as the moisture can contaminate the salts. You can also tie a ribbon around the lid to make a pleasant gift. SaltWorks has many fine therapeutic salts including Himalayan Pink Salts and Breton French Gray Bath Salts and Dead Sea Salts in many crystal sizes. They also carry Epsom Salts which you can also get at your local pharmacy. Mountain Rose Herbs sells many organic herbs to use in your bath and also some essential oils. I love all their herbs and also teas in case you want to drink a cup while relaxing in the tub. 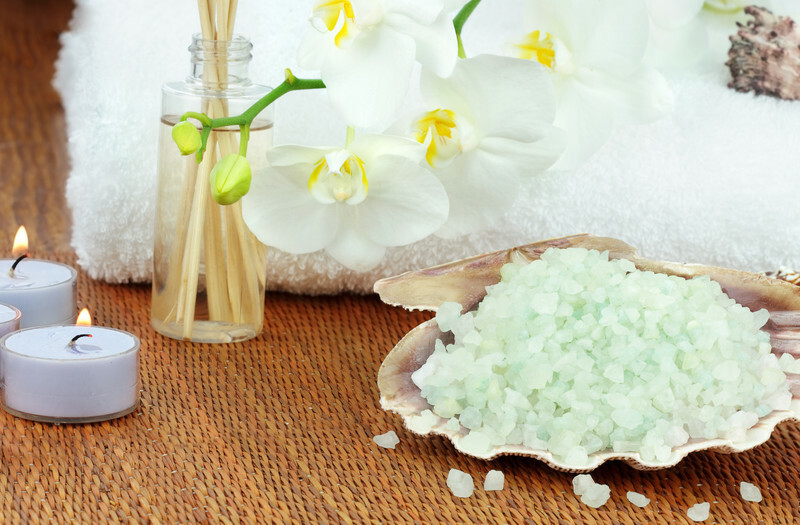 Now what is holding you back from exploring and trying out a batch of Bath Salts for your weekend spa night? And yes you deserve that scented wonderful bath and time out from your busy schedule! So fill your tub and add those bath salts, and grab your cup of tea or glass of wine and have a time out! Is This Your Hibernation Time? More people need to use their bathtubs- it’s so relaxing especially with some lovely bath salts and a glass of wine. I tried to make bath salts once but was unsuccessful. They came out very gooey. I put in too much fragrance I guess. Smelled nice though.